Then we saw France break up the Geneva talks on Iran, actions clearly attributed to Saudi influence over French foreign policy, influence bought through massive arms and nuclear “energy” purchases. Saudi Arabia is arming itself to the teeth. Theay face no external threat, especially with their Israeli backing. However, after decades of political repression, Saudi Arabia is becoming aware that the only way they can defuse domestic discord is through extreme measures. 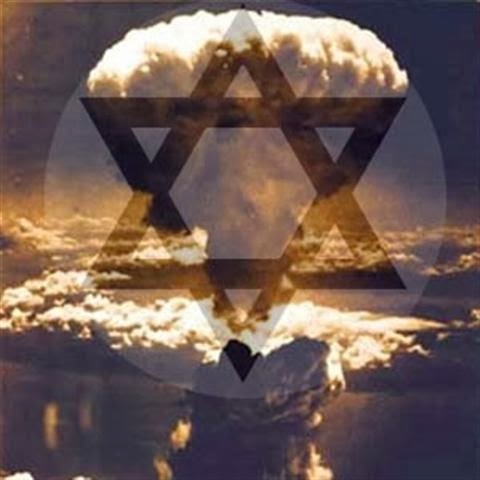 What could be more extreme than quickly moving forward with the secret nuclear weapons program that they have been involved in with the French and Israelis for years now. Japan has a large but “slightly disassembled” nuclear arsenal. We know where it is kept in the Amori Prefecture, hidden in a tank farm that has no pipelines or loading facilities. Likewise, Brazil went “nuclear” in the 1980s and now possesses 20 nuclear weapons according to reports from Soviet and Russian nuclear security officer Dimitri Khalezov. South Africa exploded its first nuclear weapon on September 22, 1979. It built a total of 10 nuclear weapons but later gave up its inventory. Three of those weapons disappeared with one eventually sold to North Korea and exploded in 2009, according to US and British sources. Israel is, of course, a “not so secret” nuclear power. Their program was based on full French cooperation and the re-direction of weapons-grade plutonium from the United States due to espionage. Now, Saudi Arabia is prepared to “go nuclear,” to be what they consider the only real Islamic power with nuclear weapons. This is the plan of “Bandar Bush,” Saudi defense minister, former ambassador to the United States and close Bush family confidant. In order to maintain domestic control, Saudi Arabia, working closely in concert with France and Israel, plans to be “the drums of war” in the Persian Gulf for decades. The new “axis of evil” was also to include Turkey, now a more reluctant participant, along with the Republic of Georgia, now a world leader in bio-warfare. Azerbaijan was also intended to take a strong role in what was to be a geopolitical realignment, which isn’t working as predicted. Syria did not fall though Egypt was “taken out of the game” through a counter-revolution that reasserts the “30 family” oligarchy of the Mubarak period under the guise of military dictatorship. Many writers unfamiliar with the US fail to see the extreme divides in American politics. Those who regularly state “both sides are exactly the same” or who cite American drone attacks as an indication that Bush and Obama policies are the same are woefully misinformed. The government shutdown over the Affordable Healthcare Act demonstrated a powerful divide along traditional party lines, perhaps the first time that has been seen since the 1990s. You see, once Bush built the apparatus of dictatorship but failed to put his pet candidates into the presidency; however, the extremist minority still maintained control through stacking, not just the Supreme Court but the lower house of Congress as well. Attempts to close Guantanamo were blocked. Attempts to dismember police state laws, to rescind emergency measures passed during bush have been continually blocked because of bizarre and unconstitutional rule changes that have gutted presidential power. Thus, when Obama apparently walks away from war on Syria and a new relationship with Iran, when Obama walks away from Iraq and does the same in Afghanistan, destroying billions of dollars of equipment as the US flies troops home, those who understand nothing of the strong class divides in America ignore what they see. In Geneva last week, the world saw the United States take a lead in realigning polices of the Bush era. What is more frightening is their failure to find the number four by adding two plus two. It was Israel that fed the press and the “blogosphere” the story of Pakistan’s nuclear deal with Saudi Arabia. The story came out of Washington, out of Tel Aviv and out of India. Saudi Arabia, a nation likely to face a horrific struggle against domestic Islamists, will have the “Samson Option,” the necessary tools to bring about Armageddon. There will be no nation bombing the secret Saudi nuclear sites, no IAEA inspectors, no media stories, no TV shows depicting the Saudi rulers as monsters. With no one to stop them, the Saudi’s see remaining a non-nuclear state as pure foolishness. They have nothing to lose and are clearly above the law, backed by France and Israel and several powerful lobbies within the United States. Those who should have gotten this story, those who should have figured it out, those independent journalists not “on the payroll” or dead still spend day after day trying to pound a round peg into a square hole.